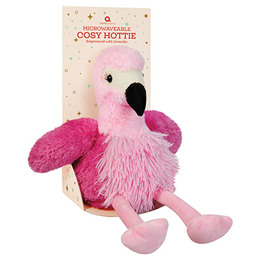 The funky Flamingo cosy hottie from Aroma Home keeps you warm and cosy all night long. Gently scented with lavender oil to help aid a restful nights sleep. Cosy hotties have a removable microwavable tummy insert that can be warmed in the microwave to give a long-lasting warmth. Made with soft fabrics, they’re perfect to cuddle and cosy up with. The microwaveable tummy insert is filled with tourmaline beads and gently scented with lavender oil, which is released when warmed. Please follow the instructions below as they are to ensure your safety. Remove the microwaveable insert from the cover and heat in a microwave following the instructions below. Do not heat the external cover. Place the microwaveable insert onto a non-metallic plate and place inside the microwave, making sure the filling inside the insert is evenly distributed (this helps avoid hot spots occurring during heating). Heat for 20 seconds then carefully tough test, continue to heat in increments of 10 seconds until desired temperature is reached, up to a maximum of 1 minute for 500-750 watt microwaves and a maximum of 30 seconds for 800-1000 watt microwaves. After heating the microwaveable insert, it must be re-inserted into the cover with the velcro securely fastened before use. Only heat the microwaveable insert. Do not heat the external cover. Inspect the microwaveable insert at regular intervals and discard if found worn or damaged. Not suitable for children under 36 months due to the risk of overheating. The microwaveable insert contains ceramic tourmaline beads and lavender oil. 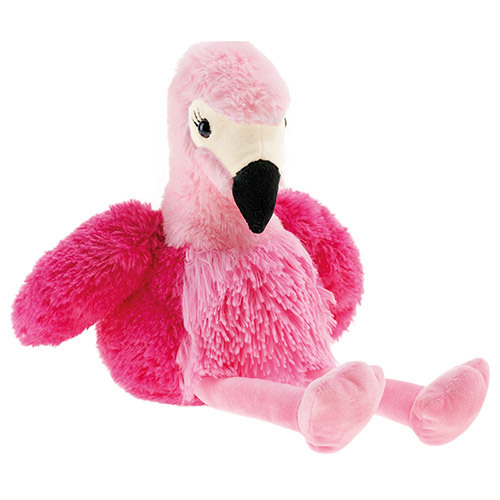 Below are reviews of Aroma Home Microwaveable Cosy Hottie - Flamingo by bodykind customers. If you have tried this product we'd love to hear what you think so please leave a review.